The Learning Commons (library) is your home away from home to discover, to create, to learn, explore other worlds - Books can take you anywhere! Thanks for a great 2017 Book Fair! Together we raised over $1800 to spend on books and learning resources for our school! 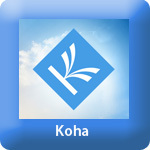 Your KOHA "online catalog" gives you access to what you have checked out from the learning commons, and you can put items from our library on hold.